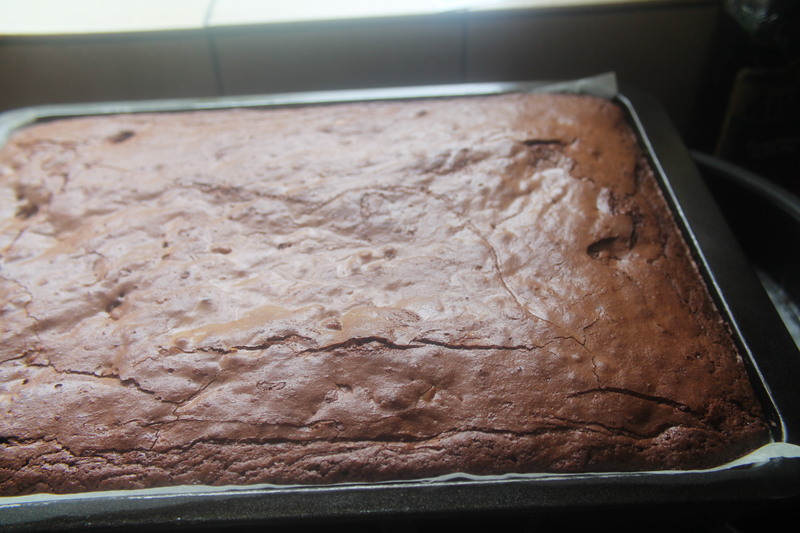 Last year when I started writing this blog someone asked me for a foolproof brownie recipe but I did not have one because brownies were not that popular in our house. 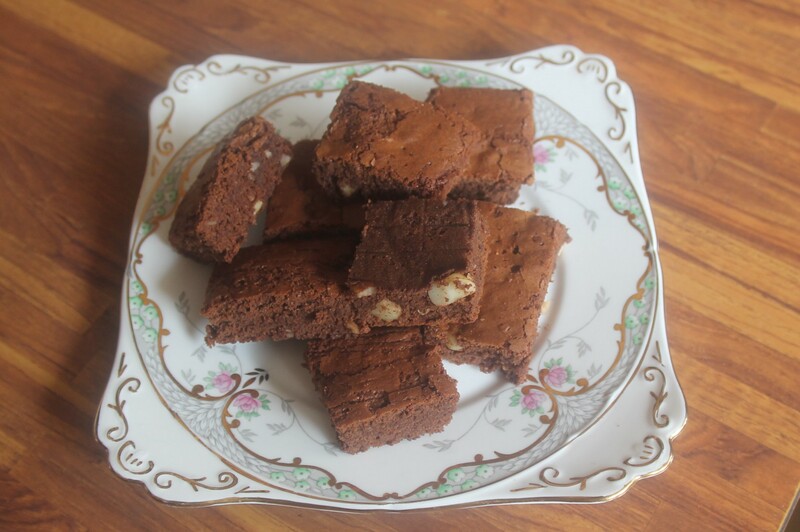 There are a lot of boxes out there for Brownies to add the odd ingredient to and bake yourself at home but recently I was given a recipe by the Macmillan cancer charity so that I could make some for their charity coffee morning held in September. I tried this recipe the other day and after making some alterations to it and this is what I got! Melt the chocolate and butter together. Add the nuts. Meanwhile whisk the eggs, vanilla extract and sugar until smooth then fold in the flour. 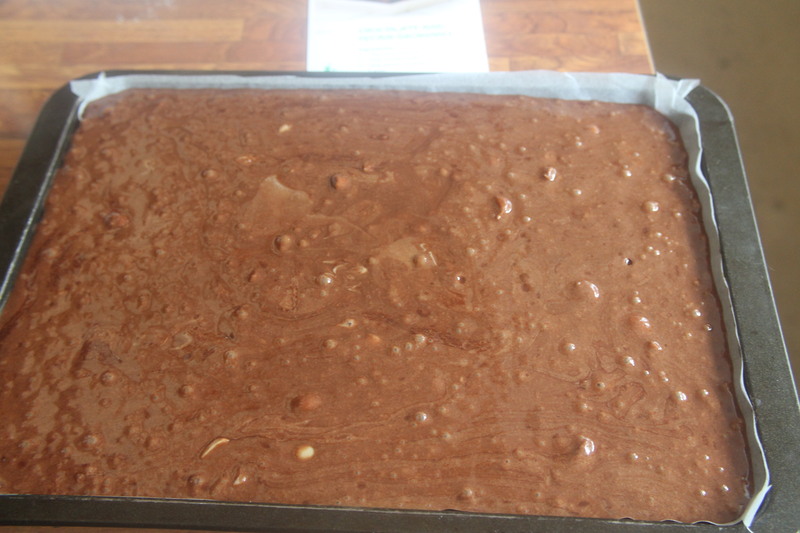 Combine with the chocolate and nuts being careful not to over-mix. Pour into the prepared tin and bake for 25 minutes until firm to the touch. Leave to cool slightly before cutting into squares. I hope you enjoy them with a nice cup of tea.